FALL RIVER, Mass. 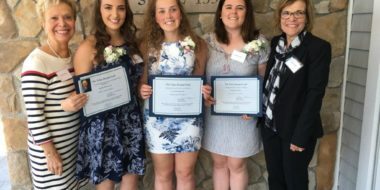 — The Charlton Memorial Hospital Auxiliary, a part of Southcoast Health, recently announced $5,000 in scholarship awards for Greater Fall River students who are pursuing a career in healthcare. 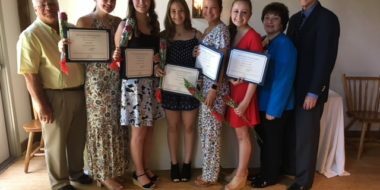 The awards were presented by Marcia Liggin, Scholarship Chair for the Auxiliary of Charlton Memorial Hospital, during a luncheon meeting on June 8 at The Cove Restaurant in Fall River. 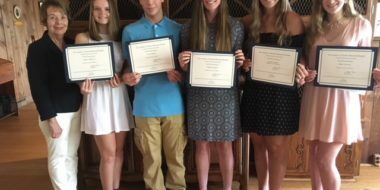 John Augustine, a graduate of Apponequet Regional High School, will be entering Quinnipiac University to be studies to become a physical therapist. Mitchell Lavoie, a graduate of Somerset-Berkley Regional High School, will be entering Boston College to begin his studies in pre-med and biology in order to become a doctor. Timothy Murray, a graduate of Tiverton High School, will be entering Wentworth Institute of Technology to become a biomedical engineer. Alison Shaw, a graduate of Westport High School, will be attending UMass Dartmouth to become a registered nurse. Leann Teodoro, a graduate of Durfee High School, will be entering Salve Regina University to become a registered nurse. Joining the Auxiliary is a great way to become involved in your community hospital. 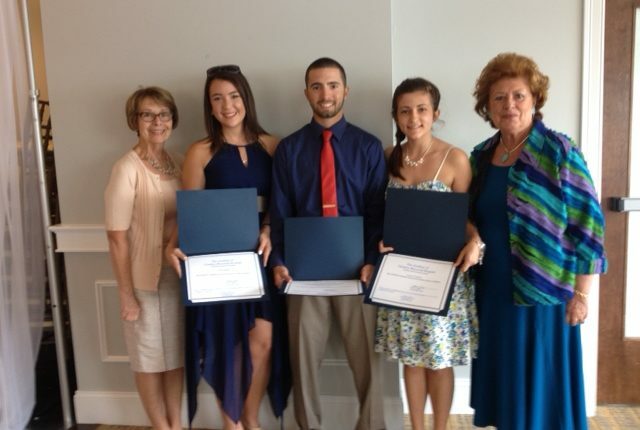 Members serve as ambassadors to the community on behalf of the hospital. For more information or to join, please contact Cheryl, Membership Chair, at 508-673-3679.